The entire October 08 eclipse is visible from the Pacific Ocean and regions immediately bordering it. The northwestern 1/3 of North America also witnesses all stages. Farther east, various phases occur after moonset. For instance, the Moon sets during totality from eastern Canada and the USA. Observers in South America also experience moonset during the early stages of the eclipse. All phases are visible from New Zealand and eastern 1/4 of Australia - the Moon rises during the early partial phases from Australia's west coast. Most of Japan and easternmost Asia catch the entire eclipse as well. Farther west in Asia, various stages of the eclipse occur before moonrise. None of the eclipse is visible from Europe, Africa, and the Middle East. If Lunar Eclipse starts before midnight but ends after midnight i.e. it covers two different dates on Gregorian calendar then the chosen Eclipse Day is when maximum of Lunar Eclipse occurs. Hence Penumbral Phase as well as Umbral Phase might start before midnight i.e. on the previous day. Moonrise and Moonset moments are corrected for Parallax and this correction gives better timings for the Eclipse sighting. Unless Lunar Eclipse is visible to the naked eye, it is of no significance to Hindus and Hindus don't consider it for any religious activities. Penumbral Lunar Eclipses are not visible to the naked eye hence no rituals related to Chandra Grahan should be observed. If Lunar Eclipse is visible during Umbral Phase then only it should be considered for religious activities. Most Hindu Calendars don't list Penumbral Eclipses. If Chandra Grahan is not visible in your city but it is visible some city near to that then you should not observe it. 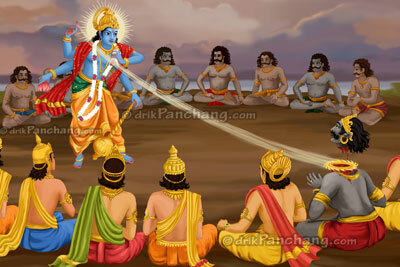 Precautions which are advised during Sutak should be taken only if Chandra Grahan is visible in your city. Chandra Grahan is considered even if the Moon is not visible due to cloudy weather or some other weather conditions.